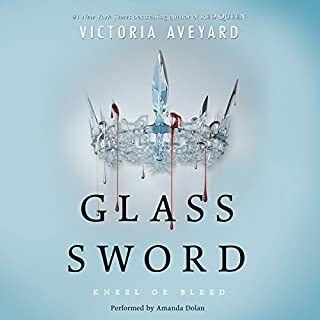 What was one of the most memorable moments of Glass Sword? In order to not spoil anything i'm going to keep this short. The Jail break is my favorite moments. Not only the act itself is memorable but the use of words and description is great too. Have you listened to any of Amanda Dolan’s other performances before? How does this one compare? Yes. the prequels are also read by her and her performance is still as flawless. I really like her impact as a reader. I enjoyed all the little "love conflicts" as i call them, This book is filled with moments where it is obvious to everyone but the characters that there is affection/feelings involved. but the characters don't give themselves the opportunity explore these feelings because they are focused on a bigger "mission"/"revolution". Enjoyed the entire Red Queen Series so far. Would you listen to Red Queen again? Why? 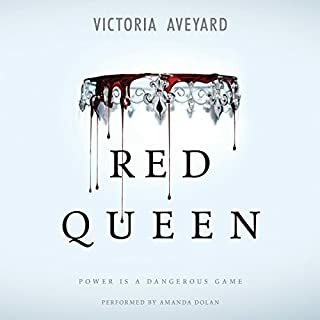 Yes, i listened to red queen and i loved it and would definitely re-listen in the future. 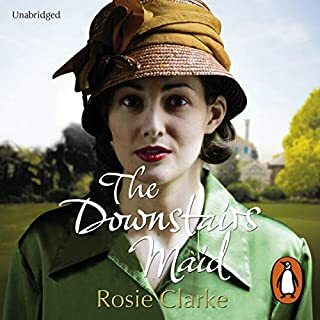 The narration was done well and gave life to the characters HOWEVER i do believe it is a book that needs to be read physically in order to catch and understand all the small underlying details. I started up listening to it and not even one chapter in decided to buy the ebook to read along with. Made the experience that much greater. The whole concept is great. The revolution, the tangled love triangle that is oh so strategic(or is it a love square??) , the equality standpoint... everything is quite unique and and although there is still some backstory development to be done i'm hoping a lot of this gets cleared up in the sequel. I thoroughly enjoyed this crazy adventure of a book. The scene in which Cal meets our heroine for the first time. Their exchange on that day builds a premise on which the reader can base their opinion of the character despite what he'd do in the future. It's made him a extremely likable character in my view and i thoroughly enjoyed that scene. This book gave me a rollercoater of emotions i have cried, i have laughed i've also been downright angry. The emotions this book gave me were real and thus i highly enjoyed it. The book itself became highly immersive. I've read steel scars and now reading the proper sequel and the more you read the book the better it gets. highly addictive. However please read it as a physical book or listen to it ALONGSIDE the physical book. What made the experience of listening to Cruel Crown the most enjoyable? 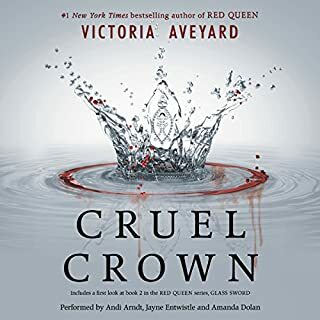 It's nice to have voices attributed to stories, HOWEVER, i do believe this book (along with the rest of the red queen books need to be read alongside the physical version). There is a lot of details that need to be physically read to be fully understood. The view from both side of the rebellion. from a depression striken queen to a ambitious rebellion leader. The voice fitted with the characters and it was soothing and enjoyable to listen to. Insightful, If you love the RedQueen series then this a a must read. Would you consider the audio edition of Heads in Beds to be better than the print version? 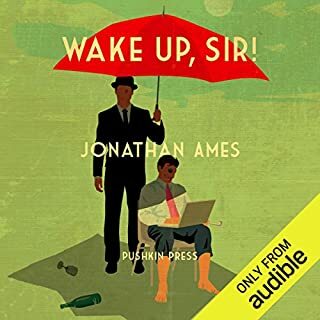 I have never read the print version of Heads in beds and thus cannot say which would be better, However the narration of the book was amazing (most likely as it was done by the author himself and thus could accurately portray the feelings) I would highly recommend the audible version. 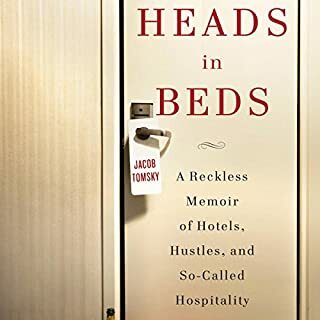 What other book might you compare Heads in Beds to and why? It's like nothing i've read before although you could compare it to Kitchen confidential in many ways (Which is also a great read by the way) as they both describe the Behind the scenes of certain industries. What about Jacob Tomsky’s performance did you like? Everything, his narration was lovely. His tone, his anger, his sadness his mild annoyance or even his boredom could be felt throughout his narration. It was impeccable. "The front desk knows all your secrets." Would you try another book from the authors and/or Ben Holland? Probably not, unless i was specifically told of a great one but this story didnt particularly sell me on the book. It was expected, no wow factor! The performance was good. The voice was soothing and the pace was fitting. 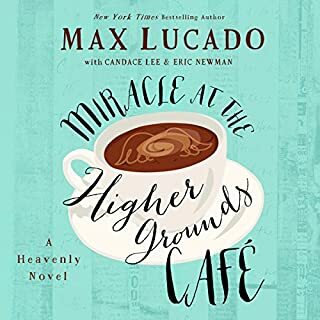 Do you think Miracle at the Higher Grounds Café needs a follow-up book? Why or why not? No, the story doesn't really have much to expand on thus a follow up book would be strange and un-needed. I loved this audiobook, reading the reviews i feel that just like the main character, this book is misunderstood. The narrative was a bit monotone but it all further emphasized the state of mind of the main character. What was one of the most memorable moments of Wake Up, Sir!? Most of the moments are memorable, Alan blair is such a character, so much misfortune, so clueless , so in-denial about his own problems. His helplessness leads him to end up in situations that are just so memorable. So pinpointing a specific memorable moment is quite difficult. However i liked the moment where he discovers he may be "nose fetishist" and his whole theories and thought process behind it. Which character – as performed by Jonathan Ames – was your favorite? Well Alan blair has to be the favorite character as this is pretty much his story and narrative. I thought it was funny, ludicrous and just plain hilarious. Burst out laughing more than once. Yes. i finished this book over a weekend. I just couldn't put it down. 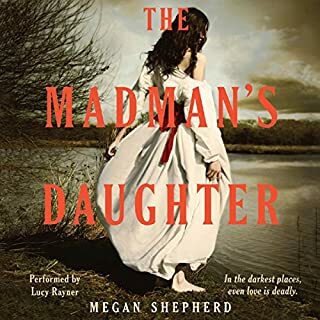 Would you consider the audio edition of The Madman's Daughter to be better than the print version? Nothing could be better than holding the print in your hand and imagining the story, I'm old fashioned like that. But the performance was great i couldn't of asked for more. What other book might you compare The Madman's Daughter to and why? Not sure what to compare it with, it was like nothing i've ever read before. It could be compared to and suspense novel i suppose but this was so unique and so much more. As the main character of the book i do like the way Juliet Moreau is portrayed, totally hooked me onto the story. Montgomery was also my favorite but that could also be due to how the author portrayed him in the story. There was alot of great moment, definitely one of my favorite new read. I liked the waterfall scene between Juliet and Edward. And the destruction scene in the laboratory. these were strong and well described scene that stuck with me. Loved it, the suspense the love triangle, everything was up to my expectation if not better. It is very twisted, in the best way possible. I do feel the narration wasn't the best ( every single character seem to sound elederly). But although the voices were distracting the story was still worth the read or in this case the listen. I do feel like this book would be more enjoyable as a traditional book rather than audio book though.